The ergonomic pillow is specially designed to support your neck and back during sleep. 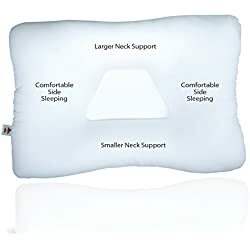 You can buy an ergonomic pillow in different shapes depending of purposes you intend to use it. The choosing of an ergonomic pillow shouldn’t be underestimated, because it’s a step that regards our health. The properly supporting of head and back during sleep is one of the factors for feeling good during the entire day. Here are some simple tips that could help you before buying such pillow. Stomach Sleepers – if you sleep on your stomach, you can buy a pillow with shape that is specially designed for sleeping in such way. It could help avoiding breathing problems as well. Travelling – These types of pillows could help your body to stay comfortable and straight while you are travelling. Office Usage – you can use an ergonomic pillow in your office while you are working. Usually, these pillows have flat shape that allows being strapped onto the chair’s back. 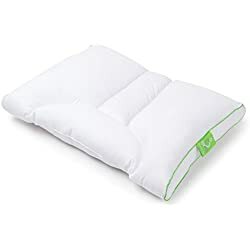 Sleeping – they are similar to the standard pillows, but these pillows could provide a great support of your head, neck, and back in a beneficial way. Before buying of an ergonomic pillow, you should check out all of the other made up materials and other parameters. For example, the cover should have at least 200 thread counts and it’s recommended to be washable for better maintenance. The memory foam is usually used for filler of the ergonomic pillows. One of the most important parameters of the memory foam is its density which is measured in pounds. If you look for a higher density, you should choose an ergonomic pillow with 5 or 6 pound density. 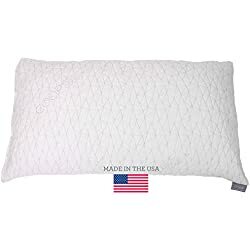 You can buy an ergonomic pillow for a low or medium price depending of its shape, quality of the made up fabrics and the other parameters.